As a poet, I am continuously looking to develop my craft, and I find reading as much poetry as possible is the best way to ensure this happens. As my children grow and get more independent, I am finding myself with a bit more spare time to devote to books and all the joy they can bring. I am a big fan of The Emma Press and had been aware of their 2016 publication, ‘The Emma Press Anthology of the Sea’ for a while. It sounded like the perfect read, combining two of my great passions: poetry and the sea. Last Autumn, I finally got my hands on a copy and I was not disappointed. These poems deliver the sea through every sense. They ebb, flow, colour, climb, peak and ripple, leaving a trail of surf and words. There are so many poems I could talk about, but for this post I will pick out one of my favourites that seems to hold a particular message for me. In Katherine Gallagher’s ‘The Lifeboat Shed’, colour is used to build a scene, drawing comparison with the work of an artist. The painting reference of ‘an oil-base blue sky’ is called upon as we experience ‘grey on grey’ and the clouds are ‘rose tinged’. Against this vibrant background, the boat shed appears to almost come to life as it ‘stirs, tugs on its moorings’. And with this surge of energy, come people, who line up to look into the windows of the lifeguards’ shop, believing in the lifeboat’s power; its ability to save them ‘no matter what sea.’ The voice of the poem implies that this safety is not guaranteed. And it is certainly true that the sea, for all its enthralling shades, is dangerous, is unpredictable. ‘The Lifeboat Shed’ manages to say so much in just two short verses. I am so glad to have found this poem and know I will return to it again and again. And there are still more poetry treasures to find, as I keep reading the anthology. My head has already been turned by the otherworldly quality of Julie Maclean’s ‘Salt Drought Mound’. I may be inspired to write another blog post! Meanwhile, I am looking over some of my own sea poems and making a few edits to a piece I wrote some years ago, called ‘The Moonfish’. If it all works out, I will be sharing that with you very soon. 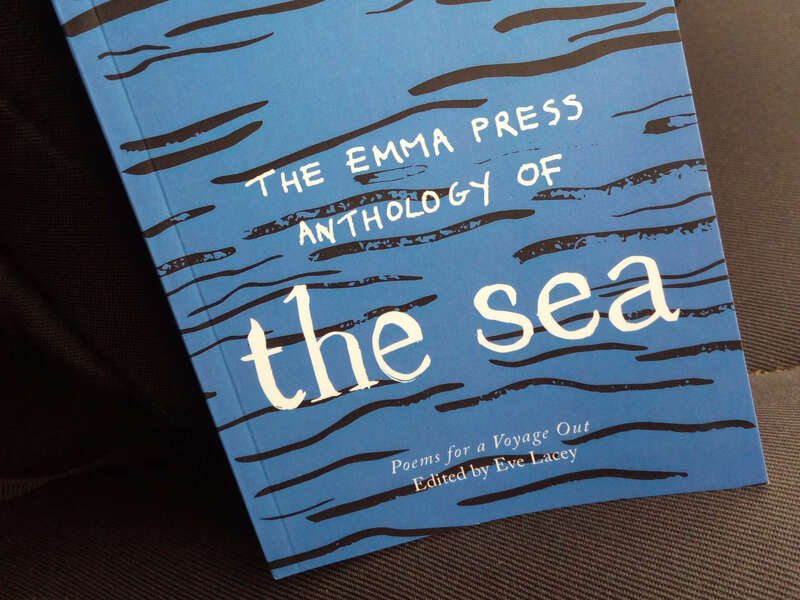 The Emma Press Anthology of The Sea, published by The Emma Press, Great Britain, 2016. Edited by Eve Lacey.